The sophisticated Turin with coloured temple stone details for that truly glamorous feel. 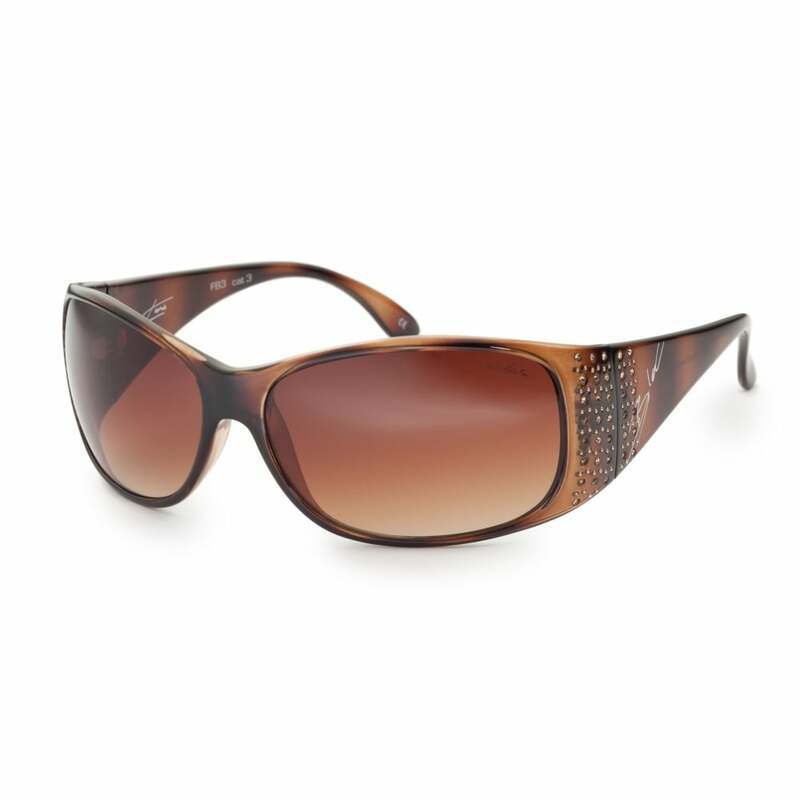 Suitable for everyday wear thanks to their durable, lightweight design and Karbon TX bi-core injected structure. Fitted with non slip adjustable nose pads and bi-moulded temples designed for comfort and fit. The distortion free, impact resistant XTR Karbon8 optical class one lenses provide maximum protection against UVA, UVB and other harmful light up to 400nm. Tested to BS EN ISO 12312-1:201. XTR Karbon8 Lens, KARBON TX injected frames, coloured stones temple detail, Grey graduated category 3 lens, Suitable for small medium and large faces.